In one corner, we have Social Media, a young, agile, and engaging contender. He’s been taking the circuit by storm. His ability to sweep the globe with your marketing message at minimal cost is particularly appealing. Then, there is that one-to-one contact with your customers and prospects. Having Social Media on your side turns your company into the corner store. You can chat with your customers and really get to know them. Unfortunately, there is a dark side. Social Media is fickle. He’s there helping you one minute and the next, he’s alienating customers. Social Media is very unforgiving. One faux pas can undo years of brand building. And, he is high maintenance. He demands continuous attention. Without it, he forgets you and everything you’ve contributed to his growth. Your message is like a bolt of lightning: one flash and it’s gone. 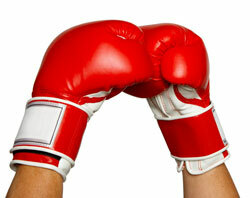 In the other corner, we have Direct Marketing, an established, proven, and measurable contender. He’s been around so long the new guys keep saying, “I thought he was dead.” He isn’t dead, he’s working quietly in the background filling coffers and building loyalty. And, he has that long tail that keeps orders coming in months after the first strike. Let’s not forget how measurable he is. Almost every aspect of Direct Marketing can be tested and measured so you can maximize your return. Direct Marketing has a dark side, too. If you are into instant gratification, he is not for you. It takes time to plan and implement one of his programs. And, then more time to see the return. He is expensive, too. Upfront costs can be prohibitive for start-ups and newcomers. Direct Marketing could invite your customers to join your network. When they arrive, Social Media could personally welcome them. Social Media could create anticipation by telling customers when Direct Marketing is sending new information. Direct Marketing and Social Media could work together to provide 5 Star customer service. I don’t know about you, but I’m betting on the DM/SM team. Together they infinitely expand their individual potential. For information on how this applies to your business, email Debra at dellis@wilsonellisconsulting.com. I think the viewpoint expressed is pretty accurate. The combined effect of the two strategies downplays the negatives of each individually. Looks like a Match made in Heaven. Teamwork is a beautiful thing, isn’t it? One way to combine direct mail with social media marketing is with plastic card mailers. Similar to postcards, but much more appealing, this type of direct mail piece is unique and eye catching. Offers such as loyalty cards or membership programs with “refer a friend” promotions are great ways to form the basis for your networking circle. From my experience combining DM/SM generates the highest ROI! David, I love your “Match made in Heaven”. It’s perfect for this post. Christine, Yes, teamwork is wonderful. Plastic card mailers is a great idea. I’ve had the same experience with DM/SM increasing ROI. The people hesitating to join SM don’t know what they’re missing! Debra, fantastic post. I always explain to my clients that SM is not here to completely replace traditional marketing efforts. And furthermore, integration is key so that they work together to make a company stronger, to present one message, and one branding. Your article brings the point home. Thank you. Thank you, Gunes. I’m starting to see more people adopting an integration of social and traditional media policy. It’s required since businesses need all tools that work to be successful.